High-yield dividend shares form part of Level 6 of the DIY Income Investor Income Pyramid. As the fortunes of these companies change, so does their eligibility for my portfolio. So it is worth reviewing the portfolio selection, at least annually. 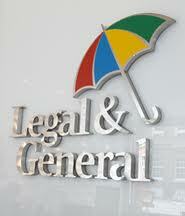 So, given the upheavals in the financial world, how is Legal & General (L&G) doing? The insurer has since raised its interim dividend by 25% in August, which is good - but the yield on my purchase price is still looking anaemic. In its latest Q3 report (November 2011), L&G has said it expects to beat the financial targets it set itself earlier this year, despite falling sales during the first nine months of 2011. The firm reported a 15% rise in net cash generation to £631m in the nine months to the end of September after its risk, savings and investment management assets all increased. L&G - along with other companies in the sector - has been increasing its sales of savings and pension products as the UK Government cutbacks leave the aging population increasingly dependent on their own savings. It attracted £25.1 billion of gross new funds to its investment management business although the increase was 4% down on last year's figure, reflecting tough market conditions. Its annuities business has suffered a decline in new business but its final quarter figure will be boosted by a recent huge £1.1 billion deal it signed with the trustees of the Turner & Newell pension scheme - which it believes to be the biggest ever in the UK. The group’s reaffirmed its intention to target a two-times-cash cover of the dividend in the medium term, with the possibility of this cover reducing if market volatility were to reduce. This implies that the forecasts of 5.75p for 2011 dividend are well supported. L&G has a historical yield of around 5%. and a P/E of under 8, which together with the reasonable financial performance means that it is at least a candidate for a High Yield Portfolio. However, as noted above, L&G is marked as a 'dividend cutter', which gives it a 'black mark'. In the sector, Aviva offers a better yield. So, while I am 'holding' and hoping for a recovery in price and dividend, any new buyer should probably look elsewhere for the time being.